Some faces just speak to you. You want to meet the person, drink wine together, take a walk, hear them talk. This is Mrs. John Philip Sousa (aka Jane van Middlesworth Bellis Sousa, 1862-1944). 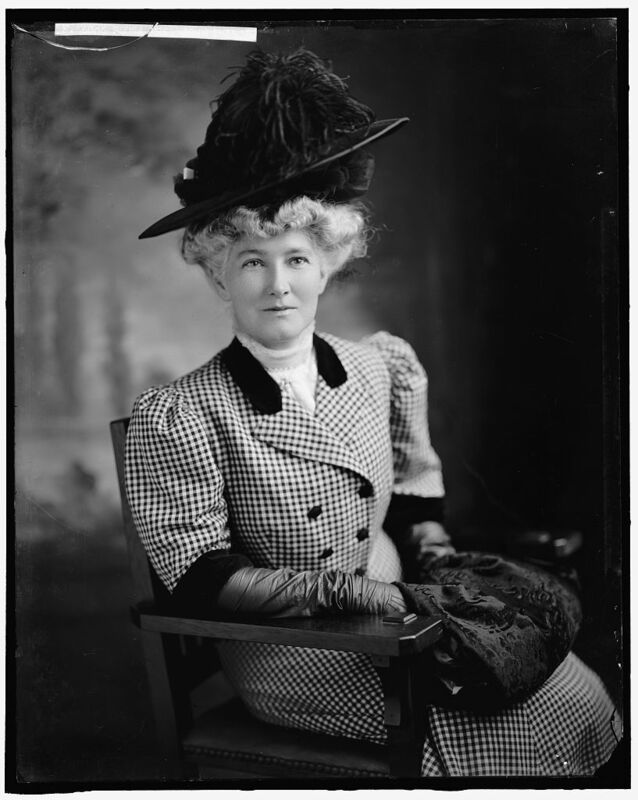 She has nada to do with my book in progress but I saw her image while researching women’s hats of circa 1906 and she certainly was into them. Look at that face. Not beautiful, exactly, but compelling. That tilt, that mouth about to speak, that curious mix of softness and strength. But now that I’m here, I’m wondering about life in the Sousa household with little John Philip Jr., Jane Priscilla & Helen (no middle name). Did they march to dinner? Did JPS wake them with a Sousaphone? Did Jane mind that her husband, being independently wealthy, donated his entire salary as lieutenant commander in the Naval Reserve (minus one dollar) to the Sailors’ and Marines’ Relief Fund? Or was it her idea? Would she have preferred a waltz to all those marches? Did she polish brass? Factoids: He had absolute pitch and she was in the D.A.R.